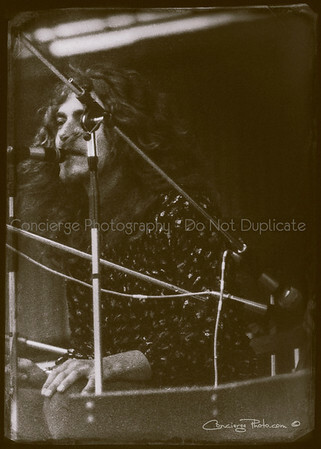 The Bath Festival of Blues and Progressive Music was a music festival held at the Royal Bath and West Showground in Shepton Mallet, Somerset, England on 27–28 June 1970. Not all these images should be blown up past 16x20 Max. Although the negatives are scanned at 300dpi the condition of this batch of negatives is poor, they were water damaged and I am saving what is possible. Some have been converted to be more artistic in order to create something of value. 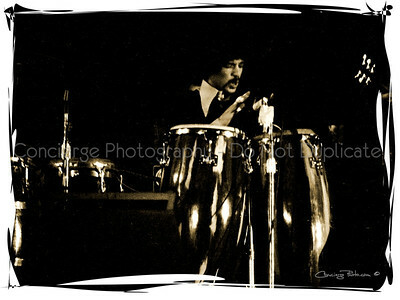 Mike Carabello (b.1947), drummer for Carlos Santana live at the Bath Festival of Blues and Progressive Music 6-28-1970.